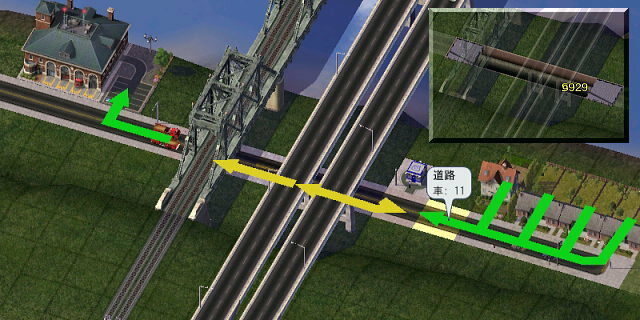 橋の下の交通 - "Under Bridge Lot"
- Additional for transportation menu. 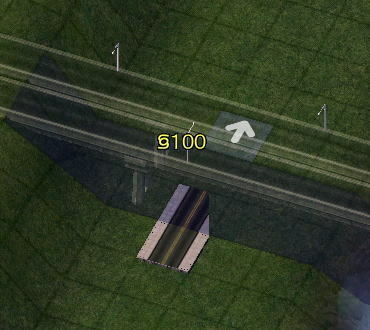 - These lots have "Car <=> Subway" or "Rail <=> Subway" function. - These make your sims be able to commute across the bridge. 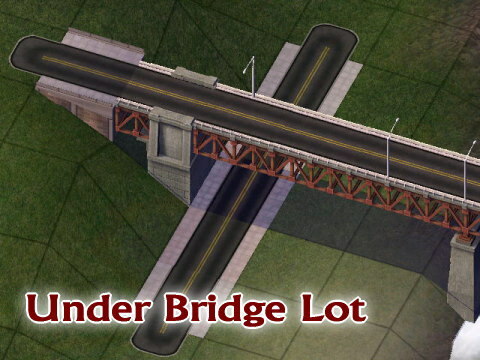 - "Filler Lot" is used to fill the space between two bridges built at one or two tile interval. - If you feel unnecessary, you may delete the "Filler Lot" folder. 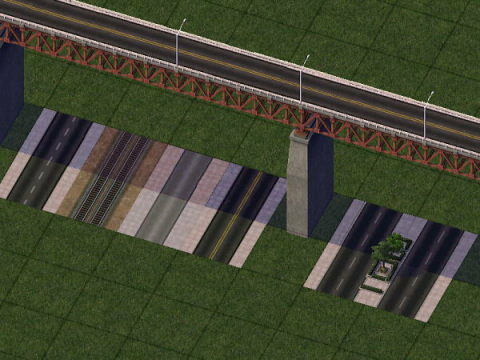 - Or these lots don't function normally! - Similarly, these lots don't function when the residential area where employment doesn't exist at all is made. 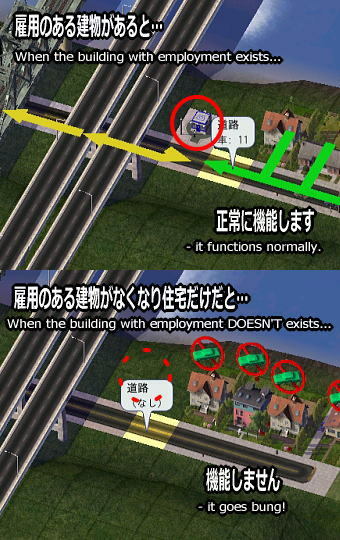 - To avoid this problem, please build something which has jobs in the residential area.